Even The Wall Street Journal isn't imprevious to market troubles. Parent company News Corp. posted a $6.4 billion loss for its second quarter. It may be the Bancroft family that has the last laugh after selling The Wall Street Journal to Rupert Murdoch's News Corp. in a highly contested deal in 2007. Shareholders cashed out before the collapse of financial markets and the rapid deterioration of the newspaper business. 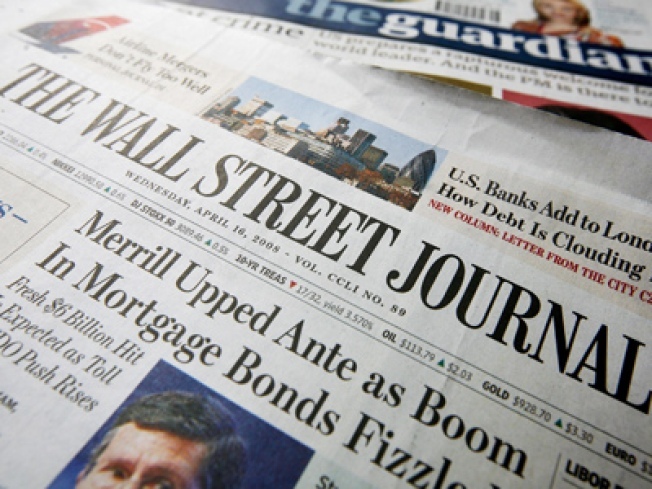 The approximately $5 billion deal caused strife among family members and other shareholders more than financially invested in the paper and Dow Jones, Inc. More than a year later, the financial markets have collapsed and the business woes that faced the newspaper industry accelerated quickly. News Corp. posted a $6.4 billion loss for its fiscal second quarter, due to an $8.2 billion writedown in the value of its assets, among other losses. The company also owns 20th Century Fox and the Fox broadcasting network. Total company revenues dropped more than 8%, to $7.9 billion. In 2007, Murdoch's bid to buy Dow Jones was met with fierce resistance by many Bancroft family members and longtime shareholders, who maintained that their ownership of The Wall Street Journal was as much a public trust as a business investment. The thought of selling out to the owner of the New York Post and Fox broadcasting struck them as a somewhat vulgar business move. The sale may have been a stroke of good luck in the long run--"selling high" always being a good thing on Wall Street.